The story of how The Port Angeles Pet Posse came to be. 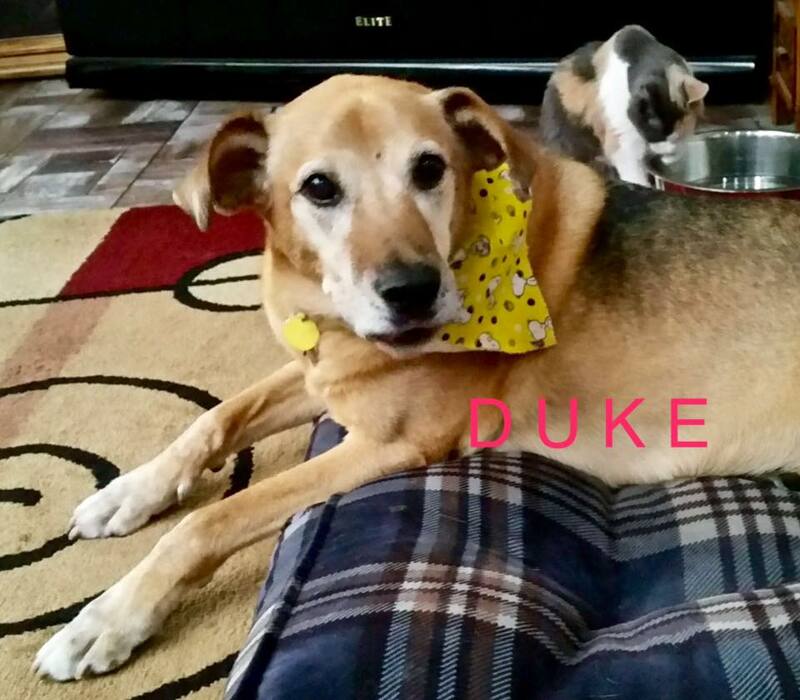 DUKE: This big boy was adopted by Shell’ey, the founder and director of The Port Angeles Pet Posse, on Mother’s Day, 2014. He had been used in the dogfighting rings, abused, and was terrified of all humans. Being newly rescued, he didn’t know his new family, territory, or even his name. Within 36 hours of arriving in Port Angeles, he became frightened by a raccoon at the door and bolted into the streets of Port Angeles. Shell’ey tried to bring him back, but he just kept running for the next two months. During this time of searching, Shell’ey felt completely alone, with no one to turn to for help, and began to realize how much need there was in this community for assistance when a pet goes missing. After two months and two days of sightings, chases, and misses, he was captured and brought home. But Shell’ey remembered the agony and fears during that time and began to ask around for people who had the same love of animals she does and we formed our Posse. On November 8, 2014, we had our first successful reunitement and have been busy every day since, reuniting pets with their owners.